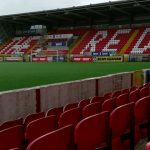 Chris Curran expects Cliftonville and Glenavon to produce a stirring battle in tomorrow’s Danske Bank Premiership clash at Solitude. 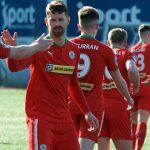 The skipper believes the Reds will approach the game in high spirits following last week’s 5-1 victory over Dungannon Swifts but is well aware that the Lurgan Blues – who overcame the Swifts by the same scoreline in midweek – are a more than capable proposition. 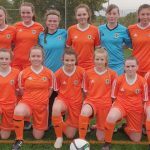 “They’re obviously ahead of us in the table and we have to start clawing those teams back that are ahead of us,” asserts Curran. 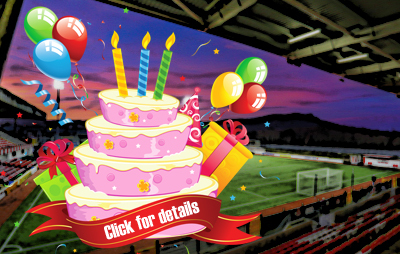 “It’s going to be a good game – two really good sides and a lot of attacking quality on show. 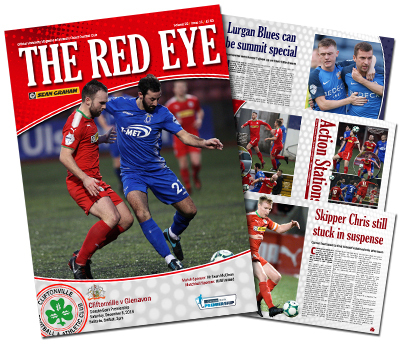 Alongside your latest player poster, The Red Eye’s 15th issue of the campaign reflects on the Lurgan Blues’ season to date and steps 26, 84 and 130 years back down memory lane – plus plenty more besides.